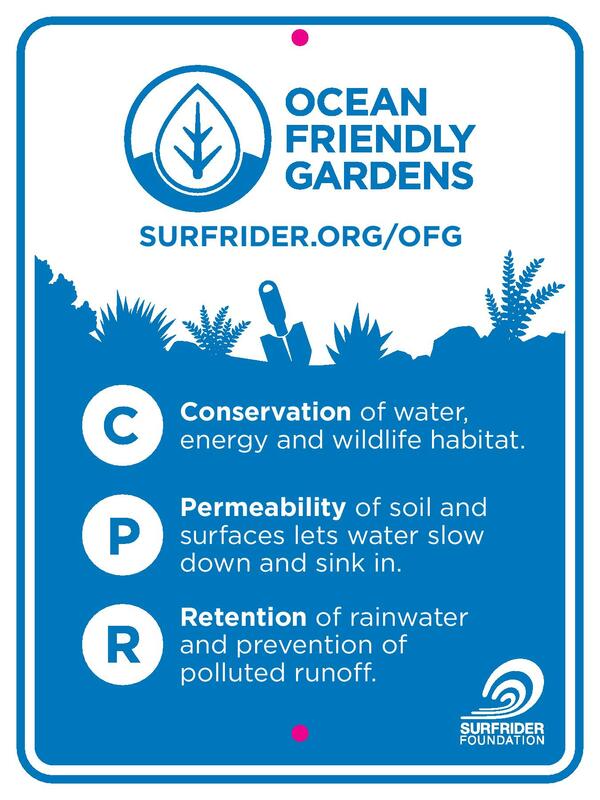 The Ocean Friendly Gardens (OFG) Program is Surfrider Foundation’s volunteer-run landscape education, hands-on training and advocacy program. 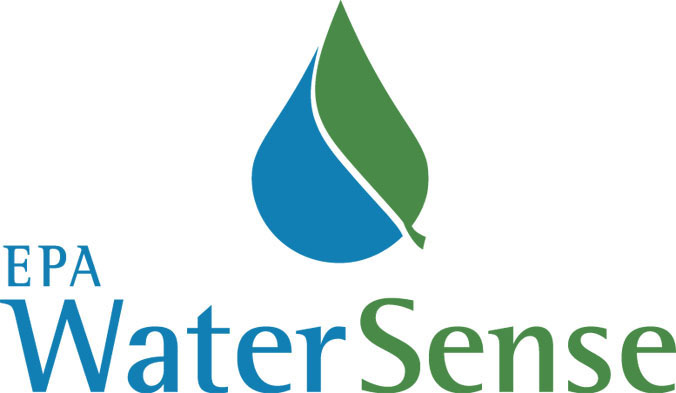 In addition to providing valuable information to property owners on how landscapes and hardscapes can prevent water pollution, Surfrider chapters are using this program to encourage landscape professionals to incorporate the program’s principles into their business practices. Chapters also use the program to motivate local governments to support OFG-oriented policy changes for existing and new development. Water runoff is the #1 source of ocean pollution in urban areas, contributing to flooding and wasting water that can irrigate landscapes and replenish groundwater. 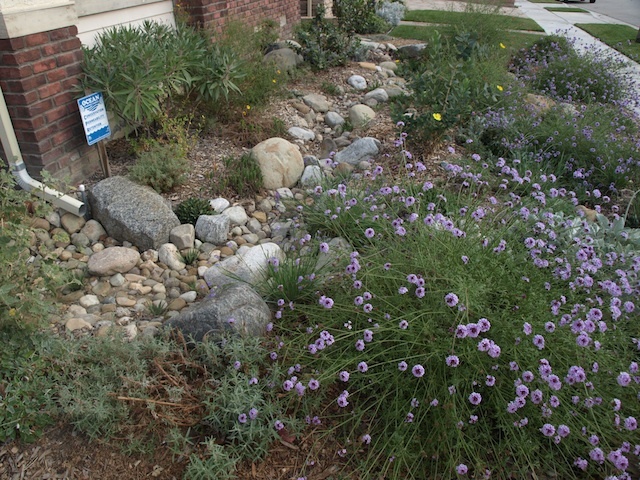 OFGs apply CPR – Conservation, Permeability and Retention – to landscapes, hardscapes and streets. They allow soil to act like a sponge to help restore the helpful functions of watersheds like protecting local water supplies and preventing pollution from reaching the ocean. 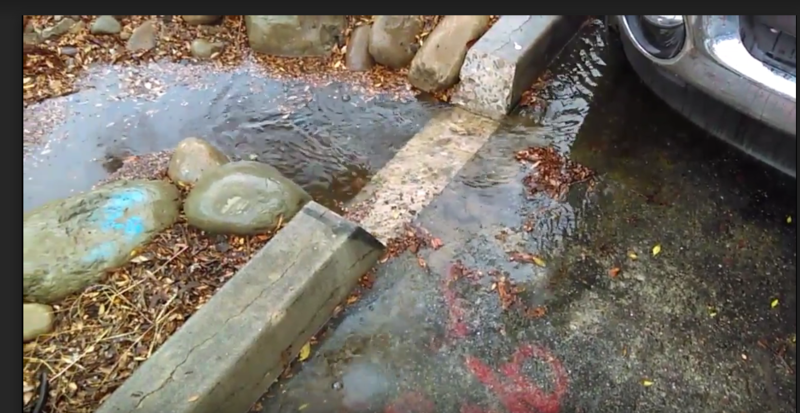 They also reduce flooding, pull carbon from the air and into plants and soil, and create wildlife habitat (above is a typical OFG and below is a curb cut flowing into a bio-swale). Instructional Videos – installing an OFG, how they work, adding parkway curb cuts (green street), case studies, and more.